The amazing companies support Colour In Your Life and our artists. Want to be a Colour In Your Life Sponsor? Check out our packages to see the exceptional marketing opportunities available to our sponsors. Read more about sponsoring an artist on CIYL here. Modern design movement of the 1930s, which were about superior aesthetics and design, as well as design-centric efficiency in operations. Founded in 1986, the company is rooted in traditional print publishing of trade and consumer magazines, and has become a true multi-media organization, with numerous digital products and events. The company and its products play a substantial role within two industries: radio/digital radio and the world of art and art collecting. It prides itself on seeking innovative solutions that break traditional molds. Plus, when it comes to organising a party and adding a personal touch to your wedding, you'll find all of your favourite brands and everything you need. Hydrocryl Pty Ltd is the manufacturer of Australia's finest artist quality acrylic paints. Originally developed in Melbourne in 1978 as an alternative to the inferior acrylic paints of that era, this boutique product quickly surpassed it's peers on all fronts. Colour intensity, superior adhesion, vibrant transparency, total pure opacity are just some of the regular comments we have come to expect from Hydrocryl's many satisfied and amazed customers. For nearly forty years, Hydrocryl has been the product of choice for many of Australia's leading artists and universities. Hydrocryl colours are instantly recognised by their intense and vibrant colours. This is the effective result of all the colours being made from single pigments and the pigments being carefully sourced and only blended in their purest, single pigment form. Hydrocryl's commitment to purity extends beyond the colour and hue of their pigments. The entire Hydrocryl range is made free of all toxins and heavy metal pigments. Accordingly, there are no poison warnings on the Hydrocryl labels. Pigment types such as Cadmium and Cobalt that have been considered fixtures of the colour wheel, do not feature in the Hydrocryl range. In their place, the highest quality alternatives have been used to ensure the artists of the safest and most productive experience in their studio. Hydrocryl have been following the same perfect formula for nearly 4 decades and continue to manufacture in Melbourne, Australia. Daniel Smith are commitment to partnering with artists, as does their desire to never stop thinking like one. 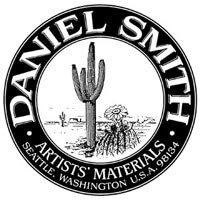 Every tube of DANIEL SMITH paint starts with the artist in mind. They have consistently been innovators, offering ever-expanding possibilities, from the Quinacridone and Luminescent colors they first brought to artists, to their versatile Watercolor Ground and the truly artist-quality Water Soluble Oil Colors. To continue to innovate after all these years is a testament to the power of their people, their creative force, and the passion of the artists who choose the products. 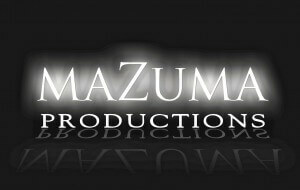 MaZuma Video Productions offers you affordable business promotional clips that showcase your business in a captivating way. We also cater for various other video production needs, such as corporate training videos, documentaries, film clips and more. For any inquiries email [email protected] or simply write a message on our Facebook wall. When selecting an Accountant it is essential that you choose one that is formally qualified, and has demonstrated experience in a range of areas including accounting, taxation, business management, superannuation, and wealth creation. Featuring information, dates, updates and news about international and Australian art prizes. Some of the amazing episodes of Colour In Your Life would not be possible without the generous support of Luke Senior and Senior Art Supplies. Senior Art Supplies offers high-quality products catering for the professional to the creative at heart. The comprehensive range of artist materials and accessories covers everything through A-Z including Acrylics, Oils, Watercolours, Gouache, Easels, Brushes "self-help" books, etc. 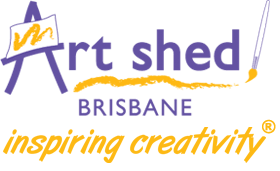 Cherri International is a Queensland owned and operated business situated in Runaway Bay on the Gold Coast. Cherri International build Custom PCs for SMB. We supply Toshiba, Fujitsu, & HP Notebooks and Mobile devices. HP Servers and Kyocera Document Solutions. Cherri International specialize in the supply of PC Hardware, QuarkXPress, ACDSee and Adobe Software for printers, graphic designers, advertising agencies, artists, Illustrators, architects and those requiring speed and reliability at a reasonable price. Most equipment and software can be delivered Australia wide by "Drop Shipment". Our vision is to bring Dunedin to our viewers. Our point of difference is that we are local, local, local. Canterbury Television is an independent television station broadcasting in Canterbury, New Zealand. The name is synonymous with regional television in New Zealand as it was the name of the first regional broadcaster to operate in New Zealand. CTV produces and screens more than twenty hours of locally based programming every week. It also screens overseas programming from Deutsche Welle and Al Jazeera. It broadcasts from the Sugarloaf transmitter on the Port Hills. Dunedin TV is operated by the City of Dunedin as a government access television channel on cable systems serving the City. It is a 24/7 source for info on government policies and services, and news of significant government-sponsored community events.